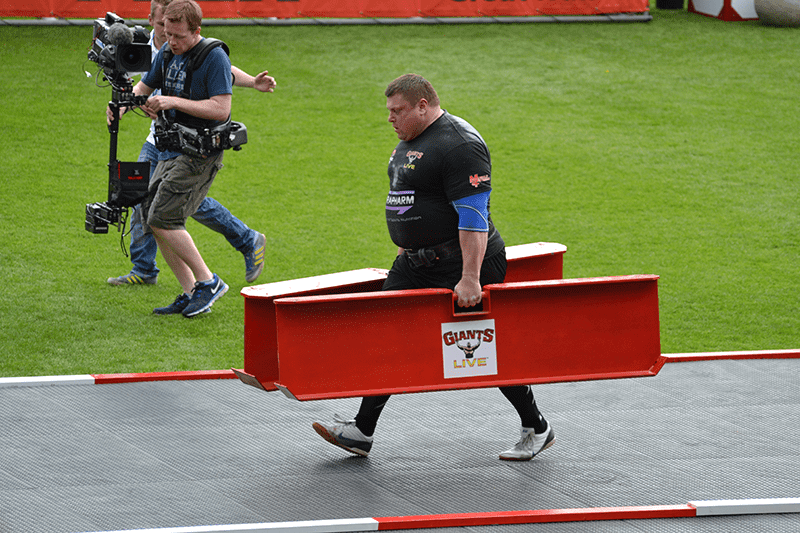 Strongman events are raw and extreme tests of mental and physical strength. Have you ever thought about adding them into your Crossfit Workouts? Here's how. If you’re an avid CrossFitter, you’ve seen the CrossFit Invitational and know who the key players are going to be in the CrossFit Regionals, and possibly the CrossFit Games. You may also have noticed that the atlas stone was used as part of the invitational. Where did the atlas stone come from? It’s a strongman exercise. 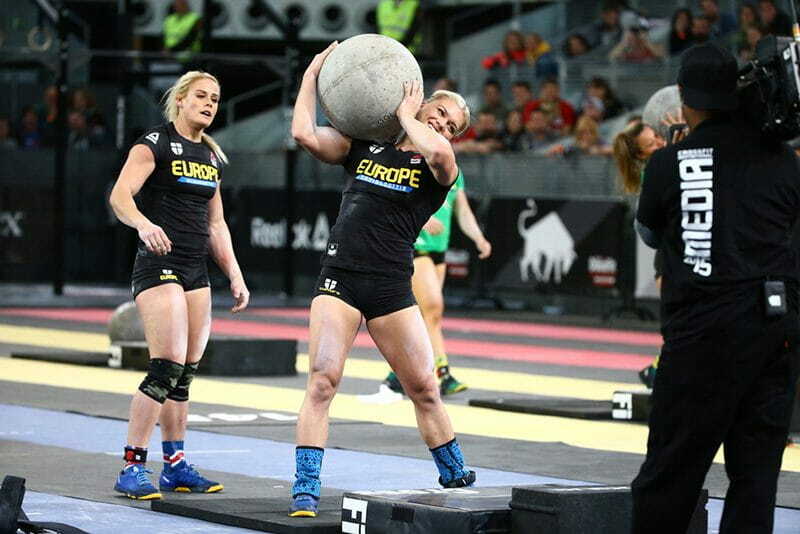 With the atlas stone in the invitational, there may be more strongman exercises included in the future. This just means that strongman training needs to be included in your CrossFit workouts. Before we delve into that, let’s look at what it actually is. The term is not synonymous with weightlifting or bodybuilding. It’s a sport in its own category with its own competitive events. It can be explained as being a weightlifting-based sport that includes lifting awkward objects from the ground to overhead, or onto a platform or even carrying them from point A to point B. The competitive events involve extreme mental and physical strength as well as speed and endurance. Since CrossFit programming is broad, general, and inclusive, strongman exercises can be easily incorporated. 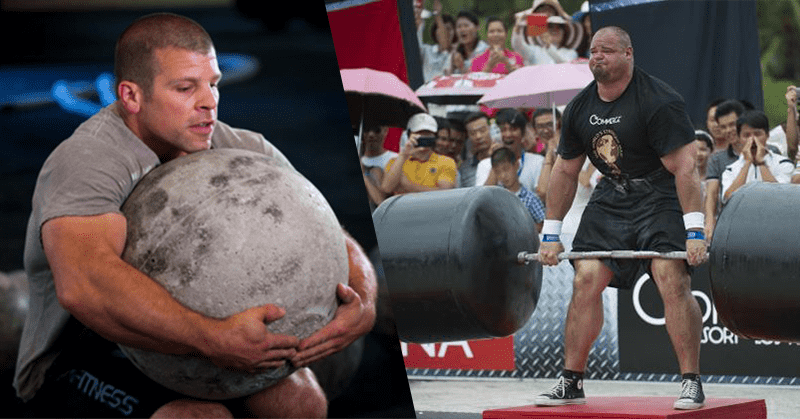 Strongman tests everything from raw power to grip strength. Strongman was around before bodybuilding or weightlifting became sports. It’s original name is “World’s Strongest Man” (WSM). The first WSM competition to ever take place was in Universal Studios, California in 1977. A man by the name of Bruce Wilhelm won that competition. Since then competitions have been held every year. Small competitions involve four or five events over a few hours. These only allow 10-12 competitors. Bigger competitions last for two days. Today, there are also strongwoman competitions in Strongwoman World Championships and World’s Strongest Lady events held annually as well. Those typically run alongside the Strongman competitions. There are several events that occur in strongman competitions. They are grouped in three categories. Some of these are already used in CrossFit workouts. That makes it easier to start implementing more strongman exercises in CrossFit WOD’s. You may be wondering if there are any benefits to doing strongman exercises? There are. Like in CrossFit, Strongman exercises challenge you mentally and physically. All the while improving strength, speed, and coordination. Anyone can train for it. That’s because all the exercises can be scaled down or up depending on the individual’s experience or fitness level. Gain muscle and lose fat. And many of the exercises are easy to recover from because they don’t have eccentric (negative) movements. Implementing strongman exercises in CrossFit workouts fulfills the variety part of your programming. They can be included in strength phases and muscular endurance phases of programs. And as with any programming, there should be a purpose behind them. As an aerobic component: Here you can include sled drags, yoke walks, and sprints. As an anaerobic component: A HIIT or Tabata variation for this component would work best. As a posterior chain component: Here you can substitute deadlifts or Olympic weightlifting exercises with tire flips, log clean and press, or atlas stones. As a finisher: Use exercises that don’t require too much focus on form and technique and at the same time help with muscular development and strength. An example is the Farmer’s Walk. On event days. If you’re training to compete, adding a day of just strongman exercises would be highly beneficial. You can string 2-3 strongman exercises together. Train each for about 20 minutes and give yourself up to 30 minutes of rest in between. Examples are farmer’s walk, atlas stone, tire flips, yoke or keg carries, to name a few. One thing you don’t want to do is program only Strongman exercises every day for a straight week. Variety is key. Mix it up. If you haven’t done any strongman exercise before, it’s important to take the time to practice proper technique. As with any routine or program, a warm up is always a good start. Break yourself in gradually, and give yourself a few days rest after doing strongman exercises. Wherever you decide to place strongman exercises in your routine, keep in mind that it’s a mental game first.